Our friends Eamonn and Emily visited on Sunday. They are huge football fans. This was the first time Eamonn held Henry. It was a monumental event. So glad your friends could meet the one and only Henry and vice versa! 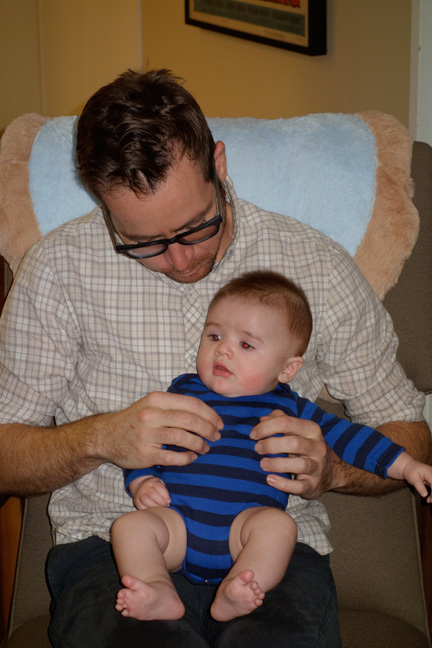 I love Henry in this brightly striped little onesie, ’cause I can see his cute, chubby little legs!